Well, you can. Now, we’re not talking about making them do inventory or stand behind the counter and ring up sales, and we’re certainly not talking about getting them to sweep the floor or clean the parking lot for free. But we are talking about having them tell you how to increase your sales – and about getting them to sell your store, your products, and your services for you. How do you do this? 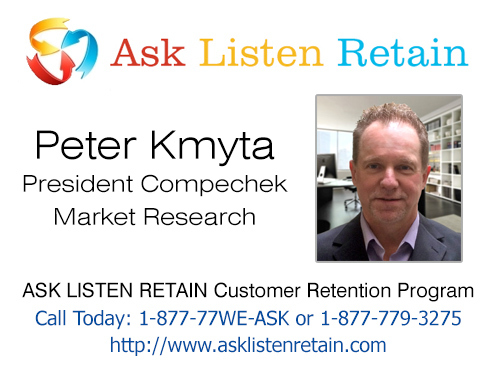 Methods for putting your customers to work for you are built in to Compechek’s ASK-LISTEN-RETAIN system of customer retention management ; when you use ALR, your customers automatically become your marketing advisers and advanced sales team. You can work with Compechek to design customer service satisfaction surveys that focus on the needs and interests of your business. These surveys can include specific questions about customer product and service preferences. The ALR system will extract and analyze keywords from customer comments, and flag them for management attention. You can designate not only positive and negative keywords (to pinpoint your store’s strong and weak areas), but also keywords connected to specific products, services, and promotions. ALR will give you links to all survey responses which include a given keyword, allowing you to quickly see how your customers feel about the specified product, service, or promotion. ALR includes a powerful problem-resolution system which automatically recognizes customer problems and complaints, directs them to the appropriate managers, provides managers with the tools to respond to those complaints, and automatically enforces full accountability in resolving complaints. Customers whose problems with a store are resolved to their satisfaction frequently become active advocates for a business, telling friends and colleagues about their positive experiences, and encouraging them to become customers in turn. The bottom line is that your customers are not passive. They’re active participants in your business; if you make use of a service such as Compechek to measure customer satisfaction and to put the results into practice, you will find it easy to put your customers to work for you. If you show them that you are on their side, they will be on your side.